The Letter – once read (or heard), never forgotten. Today is a very special day. Our friends at Audible.co.uk are offering Kathryn Hughes’ stunning first novel The Letter as an audiobook for just £1.99 – but only for today, 9th July, so get your skates on! 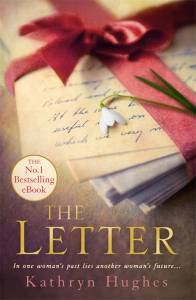 For those who don’t already know, The Letter is a gritty tale of domestic abuse, of a history of lost and confused love, and how a single letter, lost for years, helps one courageous woman find a better future for herself. Kathryn went the self-publishing route, and her e-book burned its way into the hearts of hundreds of thousands of readers when it was launched on Amazon. Eventually, major publishers came calling, allowing Kathryn to turn her e-success into a contract with Hodder Headline. This is where we at Jefferson Franklin do a little bit of smug nodding – before launching The Letter to the electronic world, Kathryn gave us the privilege of editing the book. We knew it would be huge even then, and we’re delighted to have been proved right. A little while ago, while Kathryn was still working on her second book, The Secret, we caught up with her and asked her about her path to success. This never-before-seen interview might well give heart to writers everywhere. Now don’t forget – go to Audible.co.uk for your audio copy of The Letter today. Hi Kathryn. Thanks for taking time out of your writing schedule to talk to us. Where did the central plot threads for The Letter come from? What made you so certain this was the book you needed to write? It was many years ago that the first germ of an idea for this book came to me. I wanted to write about a letter that was discovered long after it had been written, but I wanted the added mystery that it had never actually been posted. As to who wrote the letter and to whom and why they did not post it, I had no idea! The story developed in my head over the months and years after that initial idea and then in 2009 I finally got round to writing it. I wouldn’t say I was certain that it was a book I needed to write as such, but I did find the premise an intriguing one and hoped that readers would agree. What sort of research did you do for the book in terms of the period and the psychology of domestic violence? Or did you simply set out to create a compelling story? Never having suffered domestic violence myself, thankfully, I did rely on stories from other women unfortunate enough to live with a violent partner and there really are some heartbreaking and inspiring stories out there. However, my book is set in 1973 when there was no law against domestic violence, so I couldn’t have Tina acting in way that a woman today might do. There were simply not the resources available at that time and it wasn’t talked about. In fact it wasn’t until the 1976 Domestic Violence Bill that women at risk could be acknowledged as homeless and earn the right to state help with temporary accommodation. It was against this backdrop that I had to write Tina’s story, while ensuring that the reader did not lose sympathy for her when she returned to her violent husband. It’s clear from reader reaction that everyone loves The Letter. Were you prepared for the reaction? Tell us about the journey you’ve been on since it was originally published. If this is not a ridiculous question, how has your life changed since writing The Letter. I’m not sure it’s possible to please everyone but yes, the majority of people seem to like it! I can’t remember what I was expecting from readers but I did know that I wanted people to read it and they weren’t going to be able to if it was languishing at the back of my filing cabinet. This is when I took the decision to have it professionally edited by Jefferson Franklin and then self-publish. My life has only changed in that I am now much more focussed on writing because I have a deadline to meet. You’ve now got a deal with Headline. How far along are you in your next book? Any hints as to what we can expect from it? I signed a two-book deal with Headline, one of which is The Letter which was published for the first time in paperback on 8th October. I have completed the second draft of Book 2 which is called The Secret and have to deliver it to the publisher by February 2016, although I can of course deliver early if I want to. Again, it is a dual narrative set in the long hot summer of 1976 and the present day. In 1976 the regulars of The Taverners pub in Manchester are preparing for a day trip to Blackpool. After a horrific coach crash though, not all of them make it home. Forty years later and the consequences of that fateful day are still being felt by the families. But what if not all was as it seemed on that stretch of motorway and someone has been hiding a devastating secret…? So other writers can get an idea of the scale of the things, how many copies of The Letter were sold before Headline dropped you a line? And how did you go about getting the word out about the book? Or did you? We knew as soon as we started reading it that The Letter was something special – was it mostly word of mouth that sold the book or did you employ a marketing strategy? I think it was the book’s position in the Kindle Top 100 that first attracted Headline and of course the number of five-star reviews. It remained at No.1 in the whole of the Kindle store for two weeks and stayed in the Top 100 for a year. Bar the odd tweet to my three followers on Twitter, I did no marketing at all. With over 400,000 books in the paid Kindle store alone it is very difficult to bring your work to readers’ attention but when I made the book free for five days back in April 2014, over 9,000 people downloaded it and this really was the catalyst for everything that has happened since. It is impossible to under-estimate the power of word of mouth. You pretty much inverted the traditional publishing route – e-publishing first, then attracting a publisher, who then found you an agent. What made you decide to go the e-publishing route first and would you recommend it? Are there specific things you think a book needs to have or do to be successful in the electronic marketplace that are different to what it needs to do to attract the traditional agent? Once The Letter was completed I was eager for people to read it and did not want to go through the process of being rejected by agents. I chose e-book format only as it was more cost effective than a paperback and I did not want the whole publishing experience to become a vanity project. 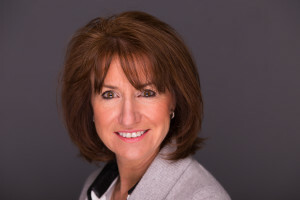 Having sold well over 300,000 copies and attracting a traditional book deal, it would be hard for me not to recommend this publishing route but I am well aware that it doesn’t happen this way for everyone. However, I would say that if anybody is considering self-publishing then make it the best book you possibly can and hire a professional editor. It is impossible for an author to edit or proof read their own work. We understand there are at least hopes and possibly plans to bring The Letter to a wider audience in a different medium – TV or film. How’s that looking? Any idea yet when we might see that? Tell us about your writing routine. Are you a writer that has to sit in a particular place for x hours every day or do you write wherever you are. Or is it more relaxed and ad hoc than that? The difference for me the second time round is that pesky deadline, so I have to be a lot more disciplined. I have an office in the garden where I do the actual writing, but I keep a notebook in my handbag and another one by my bedside for jotting down ideas as they come to me. I have been known to scribble down something brilliant at three in the morning, only to read it the next day and wonder what on earth I was thinking! There are thousands, if not millions, of writers out there who’d love to emulate your success with The Letter. What, if anything, would you advise them to do if they want to write a best-selling book in your genre? I can’t tell anyone how to write a novel, best-selling or otherwise, other than to say, make sure you do actually write it! Plenty of people I speak to tell me they have a wonderful idea for the next blockbuster but they just don’t have time to write it. If you truly believe in your idea, then stop procrastinating and find the time. Speaking of finding the time, how long did it take you to write The Letter and would you say the subsequent book/s are taking you about as long or longer? Does it get easier, or harder, once you know what hundreds of thousands of readers are looking for from you? 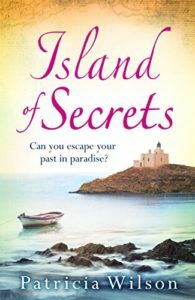 The Secret – treat yourself to a double helping of Kathryn Hughes today. I always say The Letter took me about three years to write, but it was probably much longer. However, I was still working during that time and had two kids to look after, so I only really got to work on it a couple of times a week. The second book has only taken me about ten months to write the first draft because I am working on it every day and the deadline looms ever closer. I receive many messages via Facebook and Twitter from readers telling me they can’t wait for my next book, which is exciting but also a little daunting. I don’t want to let anyone down or be seen as a one-hit wonder. However, the feedback on the first draft has been good so I’m keeping my fingers crossed. 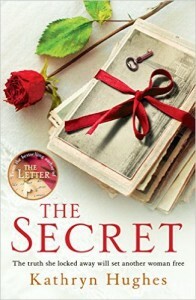 Why not get Kathryn’s second book, The Secret, now available as an e-book, paperback and audiobook, too.